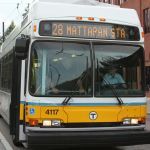 The MBTA is still the owner of the equipment, so XMBT will still be retained. XMBT is not the MBTA's reporting marks. MBA (which was only applied to Caboose C-1 and a few MW cars). rail post-Amtrak never had their own reporting marks. does hi-rail equipment get a reporting mark? GP40MC1118 wrote: XMBT is not the MBTA's reporting marks. That always confused me why some engines say MBTX while others say XMBT, of course they never bothered fixing it. actually referred to as "SRS". Rail grinder outfits too. Now the Old Colony Dispatcher is known as the Keolis Old Colony instead of the Mass Bay Old Colony. Even all of the Commuter Rail trains replaced Mass Bay with Keolis. I always thought when crews said "Mass Bay" they were referring to Mass Bay Transportation Authority and not Mass Bay Commuter Rail. They were not. Pre-MBCR they were all Amtrak trains. For those who were wondering about the road vehicles used by MBCR and Keolis, I just saw a Keolis-stickered SUV. I think Keolis acquired its own fleet of vehicles, because I don't recall MBCR having SUVs of the model I saw. Keolis did purchase new vehicles and retired some of the older MBCR vehicles. Keolis did keep most of the MBCR vehicle fleet though.